Dr Ng added that the technical evaluation took longer than expected at more than five years. He noted that the delay was because some part of the evaluation could go through only after developmental flight testing of the F-35s was completed early last year. 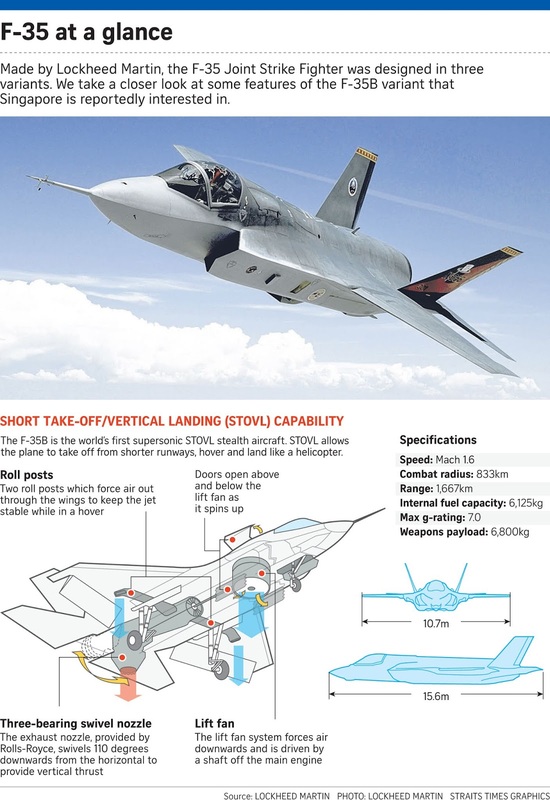 Options for Singapore's new 4.5 or fifth-generation stealth fighters included the Eurofighter Typhoons, Russian-made Sukhois and Chinese-made J-20s. Singapore had been observing the F-35 programme since 2004, when it joined as a security cooperation participant. It could join 13 other countries that have signed up for the F-35 programme, including Japan and South Korea in Asia. Mr David Boey, a defence blogger and member of the Advisory Council on Community Relations in Defence, said the F-35 will "sharpen the air force's operational and technological edge and strengthen our national security". The Ministry of Defence's plan to acquire a small number of United States F-35 fighter jets for further evaluation of their capabilities and suitability before a full purchase is a responsible move, said analysts. 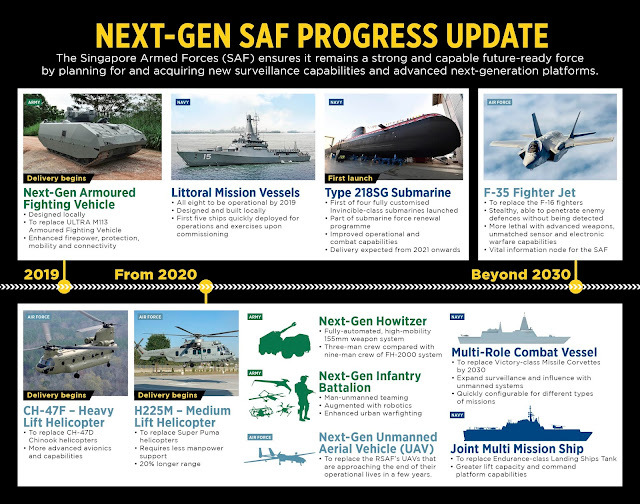 MINDEF said yesterday that the Republic of Singapore Air Force (RSAF) and Defence Science and Technology Agency (DSTA) have completed their technical evaluation of the aircraft - a process which took more than five years. Singapore will now enter into discussions with US counterparts on issues such as the costs, variants, and interoperability of the F-35 with current systems before acquiring "a small number" of F-35s for a full evaluation. Mr David Boey, a member of MINDEF's Advisory Council on Community Relations in Defence, said buying a small number first shows MINDEF and DSTA are "pacing the acquisition responsibly". He said it is prudent for Singapore to evaluate the fighter thoroughly before introducing it fleet-wide, given the F-35's cost. An F-35A costs about US$89 million (S$121 million), while the short take-off/vertical landing variant, the F-35B, which Singapore is reportedly interested in, costs US$115 million. "Previous acquisitions that started with modest numbers were expanded to formidable strength after the platforms proved their worth," added Mr Boey. "For instance, the RSAF started with just eight F-16s in the late 1980s and now has a fleet of around 60 F-16s, making this the largest F-16 fleet in South-east Asia." Mr Mike Yeo, Asia reporter for Defense News website and magazine, said some countries adopted the practice of buying a few before confirming a fleetwide purchase. "This is not a unique situation, with both the Netherlands and Australia getting an initial two aircraft each for test and evaluation in the US before increasing their respective aircraft orders later," he added. Senior analyst Kelvin Wong of military publication Jane's by IHS Markit said the completion of the technical evaluation marked the halfway point in replacing the F-16s with the F-35s. He said: "It is a clever move by MINDEF to start with a small number, giving them some room to manoeuvre before committing to a full purchase, should the F-35 programme go wrong." This is because how the F-35 performs in actual operations is still up in the air. Britain, for instance, declared initial operating capability for its F-35 fleet only earlier this month, said Mr Wong. The F-35 programme has faced delays, ballooning production costs and production flaws in the past. In October last year, the Pentagon temporarily suspended operations of its fleet of F-35 fighter jets for 24 to 48 hours to check for possible faulty fuel tubes in the engines of the planes. 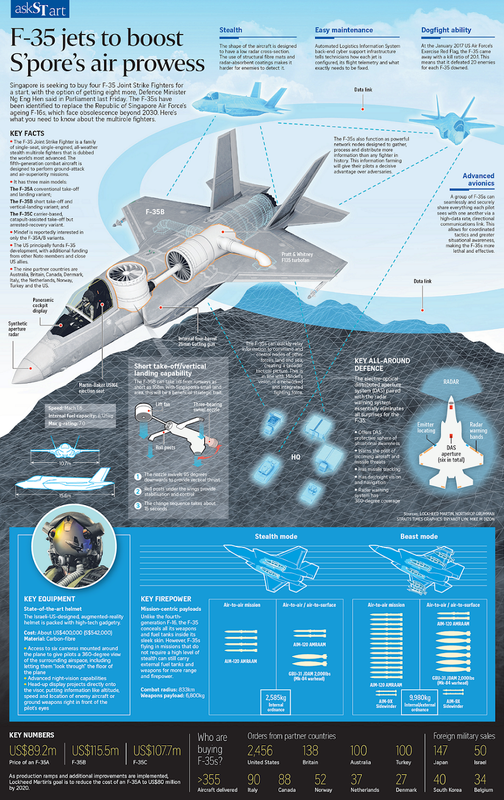 This came after the first F-35 crashed near the Marine Corps Air Station Beaufort in South Carolina a month earlier. The pilot survived after ejecting. "Extended evaluation of the aircraft in local conditions is therefore prudent, especially since the actual cost of sustaining it in the long term is still not yet fully understood," said Mr Wong. The acquisition of F-35 fighter jets by the Republic of Singapore Air Force (RSAF) is for Singapore's own defence deterrence and not directed against, or to align itself with, any particular country, said the Ministry of Defence (MINDEF). It was responding yesterday to a recent report by American news outlet CNN which wrote that analysts said Singapore's decision to acquire the F-35 was "indicative of growing concerns within Asia regarding China's regional ambitions". 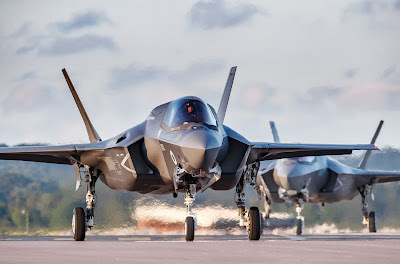 Published on Thursday last week, the report also suggested that the acquisition carried a message to China as Singapore will become "the fourth American ally" in the Pacific region to own F-35s, after Australia, Japan and South Korea. The report, titled "The message to China behind Singapore's US F-35 jet plan", had also said that Singapore is a "close and long-time US ally" that "even hosts a US Navy facility". In a statement, MINDEF said that these assertions were erroneous. "Unlike other Asian countries who have acquired F-35s, Singapore is not a treaty ally of the US," it said. "While Singapore has allowed United States ships and aircraft usage of some of our military facilities, this is not a reaction to any recent developments. It is a long-standing arrangement dating back to 1990," added MINDEF. Singapore is known as a security partner of the US. The Sembawang-based US Logistics Group Western Pacific provides logistics and maintenance support to US ships in the western Pacific and Indian oceans. Officials from Singapore and the US said last week that talks to renew the 1990 agreement that grants the US access to military facilities in Singapore are ongoing. Britain also has a naval repair and logistics support facility in Sembawang. 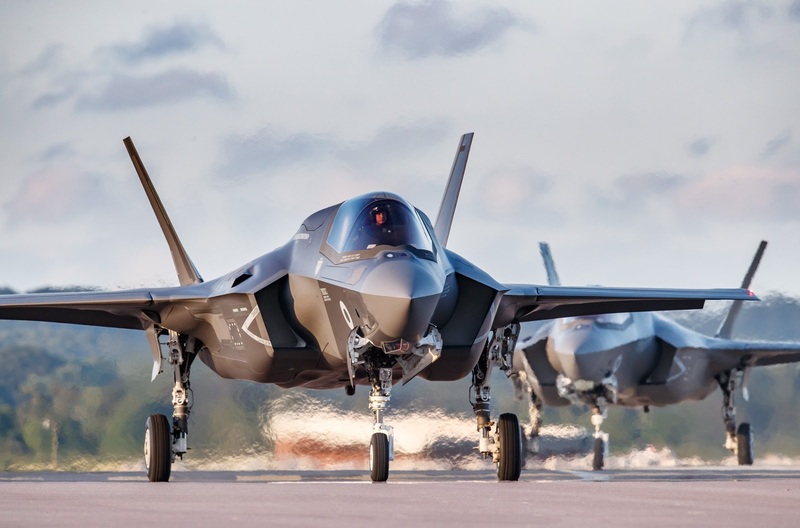 The CNN report was published after Defence Minister Ng Eng Hen's announcement in Parliament on March 1 that Singapore would be seeking to buy four US F-35 Joint Strike Fighter aircraft for a start, with an option for eight more. The F-35 - dubbed one of the world's most advanced fighter jets - has been identified as a replacement for Singapore's ageing fleet of F-16s, which face obsolescence beyond 2030. Dr Ng also told Parliament that Singapore has the endorsement of both the US administration and the Department of Defence for its proposed purchase of the F-35s, but the US Congress must still approve it. MINDEF also said yesterday that Singapore's defence policies are predicated on "an inclusive security architecture", which is exemplified by the Asean Defence Ministers' Meeting-Plus. This group consists of all 10 Asean countries and eight other countries, namely Australia, China, India, Japan, New Zealand, South Korea, Russia and the US.